This was a bad plenary session for the French President, Emmanuel Macron. One of his key proposals, namely using some of the remaining British seats in order to establish to a pan-European electoral constituency for future EP elections, was rejected by a small majority of MEPs (54%). In particular, the proposal was blocked by the staunch opposition of the European People’s Party that labelled it as a “centralist and elitist artificial construct”. This ambitious initiative was opposed by both Eurosceptic and right-leaning Parliamentarians. The largest EP group, the EPP, heavily campaigned against the proposal in the run-up to the vote. Being the dominant group in the European Assembly, the EPP is relatively happy with the status quo when it comes to the electoral system for the European elections, also because the group is the most likely to win a plurality of seats in 2019 and keep the Presidency of the European Commission after the upcoming EP elections. However, some EPP members disagreed with the official position of their group. Among others, the Parliamentarians of Rajoy’s People’s Party decided to back the proposed transnational lists, as well as some Austrian (Othmar Karas and Paul Rübig) and French EPP members (Arnaud Danjean, Jérôme Lavrilleux, Philippe Juvin and Tokia Saïfi). The EPP-led coalition got the upper hand thanks to several defections within the groups supporting the initiative, namely ALDE, S&D and the Greens/EFA. Within the Greens/EFA group, all the Swedish members decided to oppose the proposal to set up a joint constituency, as well as the Scottish and Welsh nationalists. Within the Social Democrats, several national delegations (mostly from smaller countries) decided to join forces with the other groups in opposing the transnational lists. Among others, the Bulgarian, Slovak, Czech, Danish, Swedish, Dutch and most Romanian Social Democrats voted against the proposal. The liberals of ALDE were slightly more cohesive than the Social Democrats, although there was some opposition to the proposal warmly promoted by the group leader, Guy Verhofstadt. Remarkably, even the President of the ALDE Party, Johannes Cornelis van Baalen, opposed drastic changes to the current electoral system. 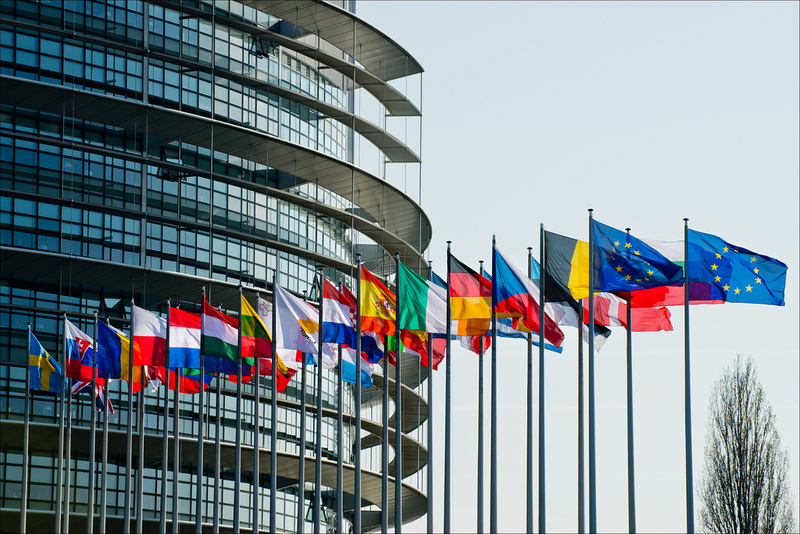 Most of the outgoing British MEPs decided to either oppose the transnational lists or to abstain, lending little support to the advocates of further federalization of the European elections. Among the few British MEPs supporting the transnational lists, we found the chair of the Committee on Civil Liberties, Justice and Home Affairs, Claude Moraes. 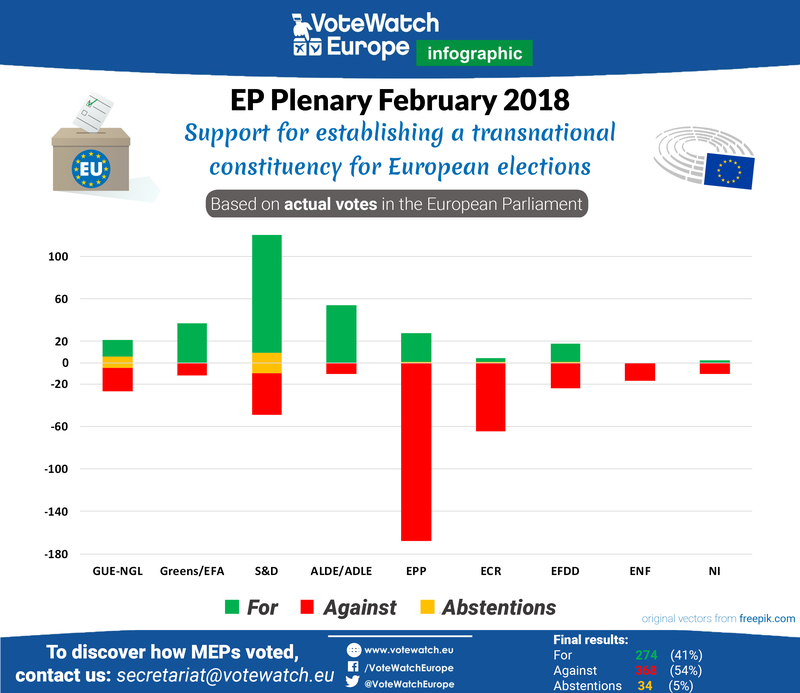 The full breakdown of the vote can be found here (NOTE: the vote was to delete the mention of the transnational list, so MEPs who you find in the voting table as voting “for” voted in fact to delete the transnational lists and the other way around). More on this and other hot topics addressed during this EP plenary will be available in our upcoming report next Monday. For comments, contact us at [email protected]tewatcheurope.eu.